After more than a century, tortoises are once again hatching on the Galapagos Islands following the eradication of local 'pirate' rats. Black rats on Pinzon Island - also known as Duncan island - had pushed the giant tortoises to the brink of extinction as they were feasting on their eggs. Now the critically endangered Duncan Island Giant Tortoise, Chelonoidis duncanensis, have been born naturally on an island in a 'significant' breakthrough. Some 15 species of Galapagos giant tortoises once existed, but only 11 survive today, after populations were wiped out by the arrival of humans in the mid-19th century. It is believed that the rats arrived in the archipelago, part of the Republic of Ecuador, with the pirates and whalers that first visited in the early 1800s. 'Giant turtles were not being born naturally because of the black rats eating their eggs,' Danny Rueda, head of ecosystems for the national park, told local media. The same was true of other indigenous species of birds, lizards and snakes. 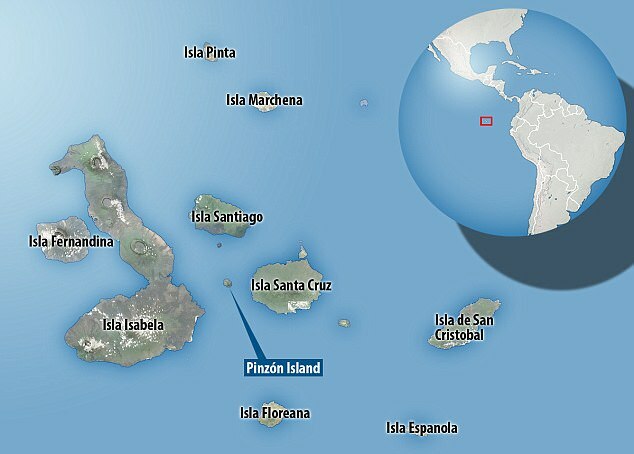 Mr Rueda said that in December 2012, experts used a helicopter to distribute rat poison across the 1,789 hectare (about 4,420 acres) landmass that makes up Pinzon Island. After two years of monitoring the ecosystem following the distribution of poison, the island was declared 'rodent-free' in 2014. 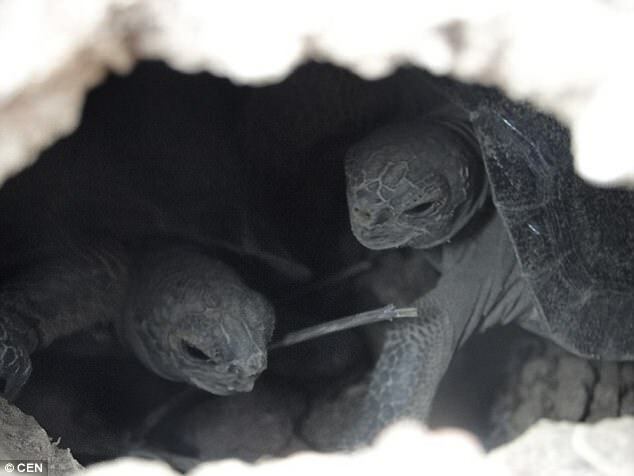 'We have detected for the first time, after over 100 years, baby tortoises hatching naturally,' Mr Rueda said, calling the event 'significant' for the species' future on the island. There were also concerns about the risk to Pinzon sparrowhawks eating the poisoned rats. It is believed that the rats arrived in the archipelago, part of the Republic of Ecuador, with the pirates and whalers to first visit there in the early 1800s. They had pushed the giant tortoises to the brink of extinction as they were feasting on their eating their eggs. In December 2012, experts used a helicopter to distribute rat poison across the 1,789 hectare (about 4,420 acres) landmass that makes up Pinzon Island. Danny Rueda, head of ecosystems for the national park says the biggest challenge now is to avoid them coming back. Twelve birds were captured and cared for on nearby Santa Cruz Island for three years before returning to their natural habitat. 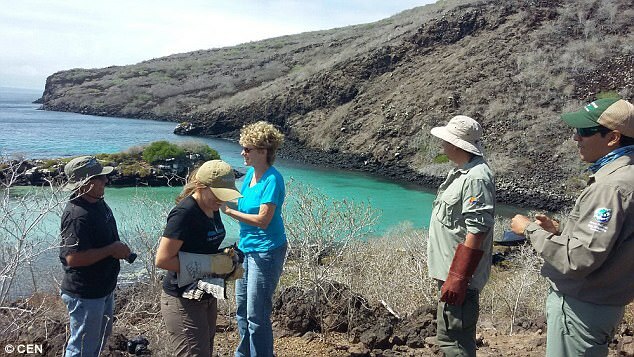 Breeding programmes for the threatened giant tortoises were established in 1965 by the directorate of the national park and the Charles Darwin Research Station located on Santa Cruz Island. In 1965, the Galapagos National Park started a breeding programme with 20 tortoises, writes IBTimes. This led to the release of 837 individual animals into the wild. Park authorities say this programme will no longer be needed as tortoises are breeding naturally again. Mr Rueda says the biggest challenge now is to avoid them coming back.